At Allure, we prefer using the JUVÉDERM® family of dermal fillers, which instantly adds volume to a different area of the face to lift cheeks, smooth parentheses lines, or plump the lips for natural, long lasting results. How does JUVÉDERM® Ultra XC and Ultra Plus XC work? 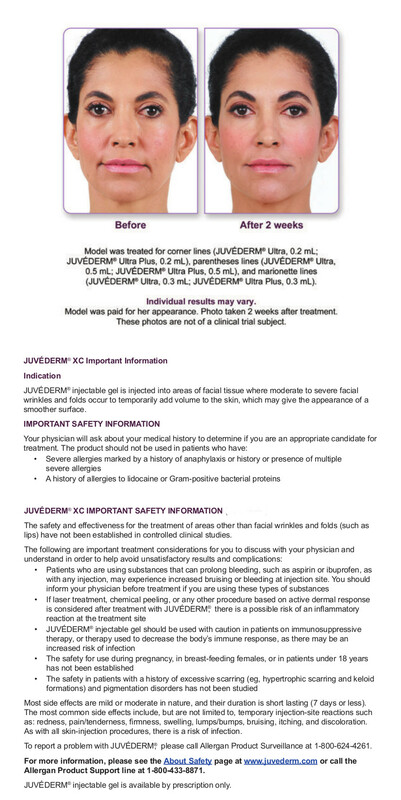 What is JUVÉDERM® Ultra XC and Ultra Plus XC? 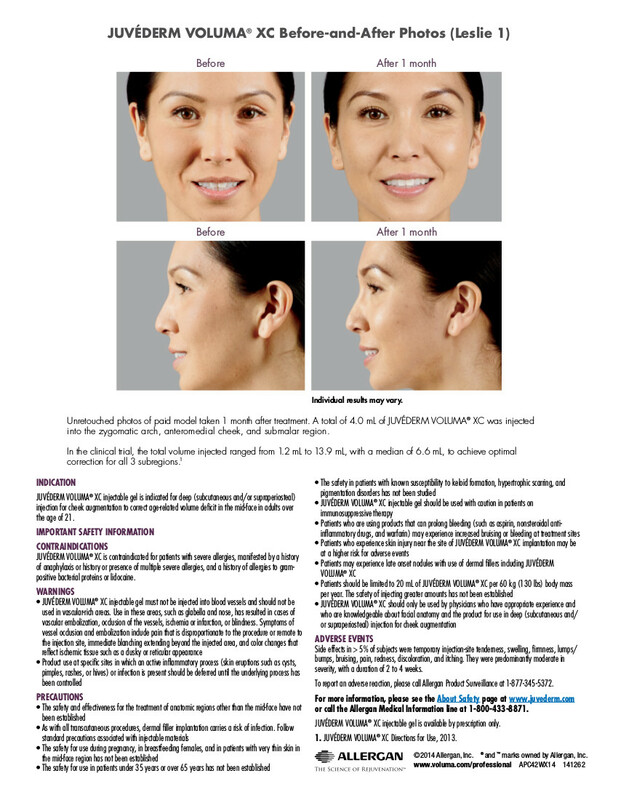 How does JUVÉDERM® Voluma XC work? 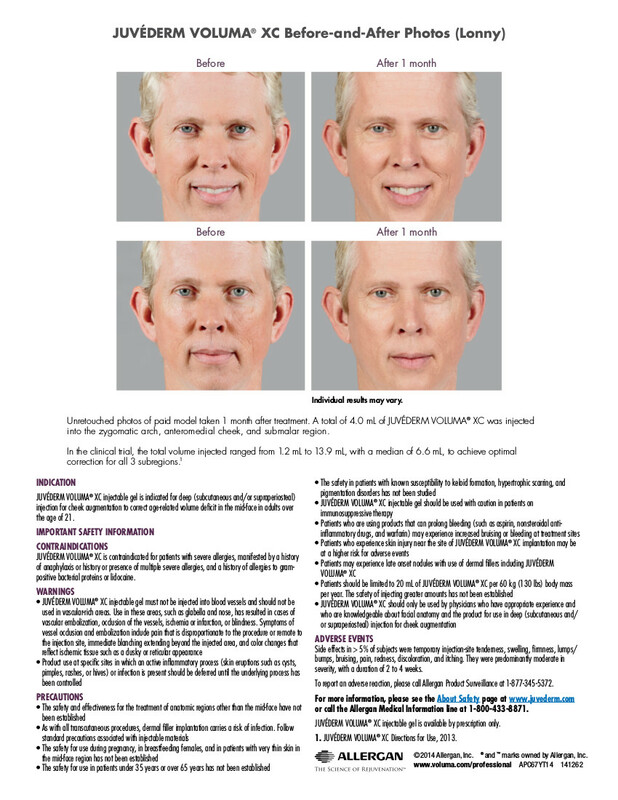 To report an adverse reaction with JUVÉDERM® Ultra XC, JUVÉDERM® Ultra Plus XC, or JUVÉDERM VOLUMA® XC, please call Allergan Product Surveillance at 1-800-624-4261. 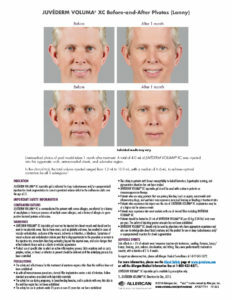 For more information, please see JuvedermDFU.com or call the Allergan Medical Information line at 1-800-433-8871. 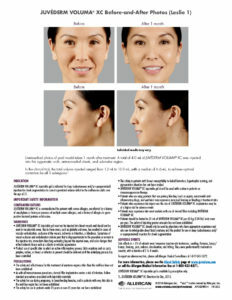 JUVÉDERM® Ultra XC, JUVÉDERM® Ultra Plus XC, and JUVÉDERM VOLUMA® XC injectable gels are available by prescription only.